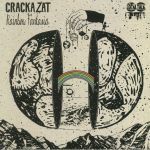 Review: Back in 2016, Crackazat created a bespoke EP for Z Records in which he blended vocal acapellas from the label's archives with his own jazz-fired deep and soulful house grooves. Three years on, he's decided to repeat the exercise, in the process serving up four more killer cuts. 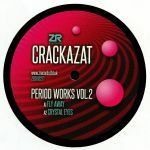 He begins by layering Sunburst Band vocals atop bouncy pianos and rich Latin house instrumentation on "Fly Away", before effortlessly joining the dots between deep house, disco and jazz-funk on the superb "Crystal Eyes". "I'll Be There" is a colossal slab of gospel-tinged revivalist New Jersey garage smothered in weighty organ riffs, while "Some Day" offers a deeper and jazzier spin on the same retro-futurist sound.